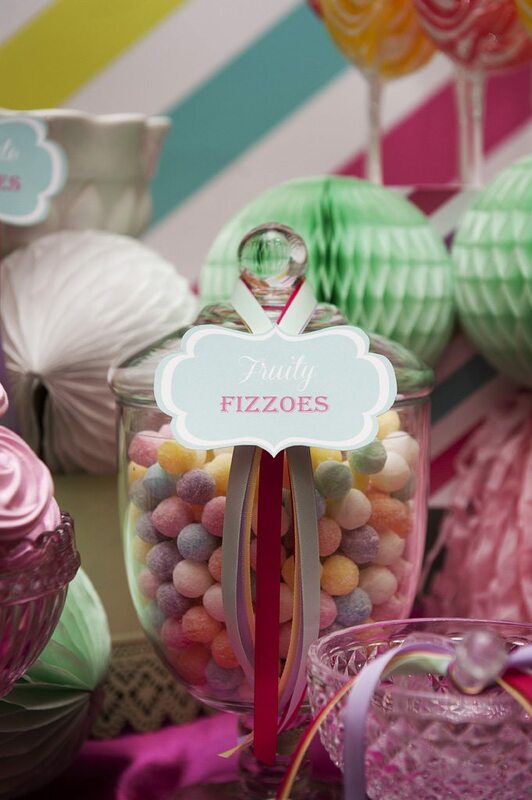 PINK, BLING & LOTS OF IT was the brief from the gorgeous Karen for her 50th Birthday party! Held at the Tattersalls Club in Brisbane’s CBD, Karen hosted 50 special guests for a wonderful evening of food and music. 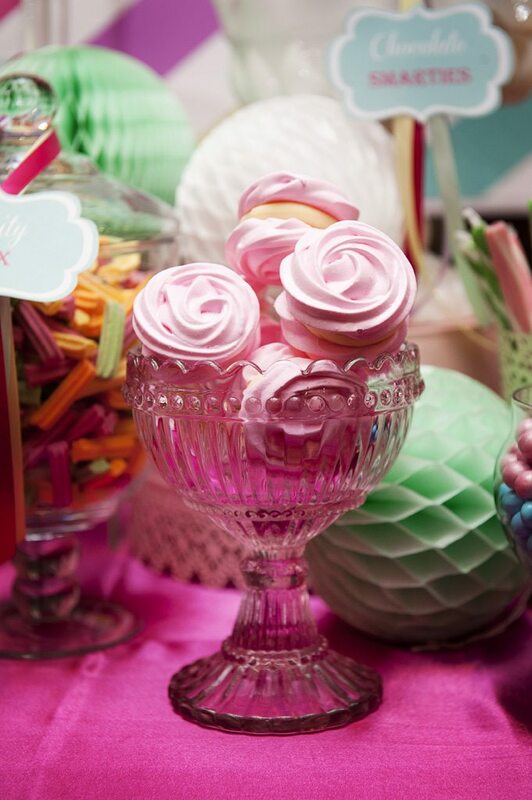 The night kicked off with a French Martini (pink of course) and guests enjoyed a stunning seafood buffet dinner before finishing with the Dessert Table & cakes… yes, Karen’s celebration featured not one but TWO cakes and a Lolly Buffet for the children. 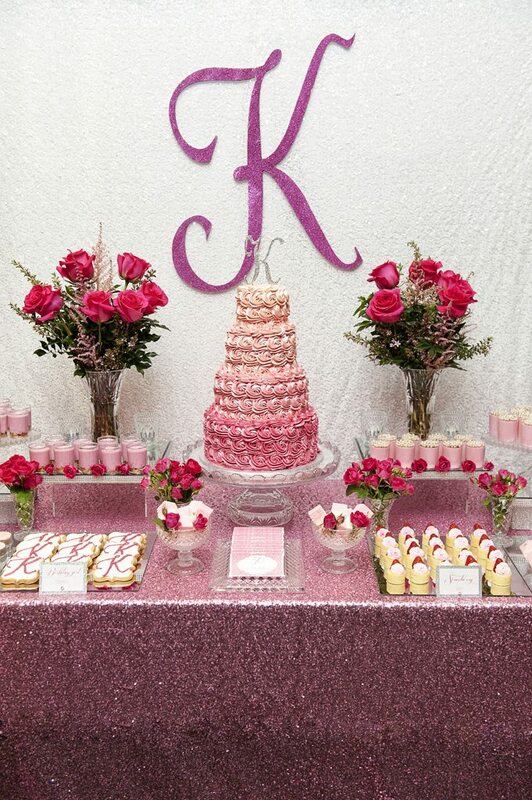 The tables were adorned with pink crinkle taffeta cloths, ombre rose floral arrangements in crystal bowls, candles and silver charger plates with handmade menus by Style My Celebration. Silver napoleon chairs finished the look and the room looked fantastic! Here’s a few images of Karen’s night by Nicole Barralet Photography. Vendor credits at end of page. 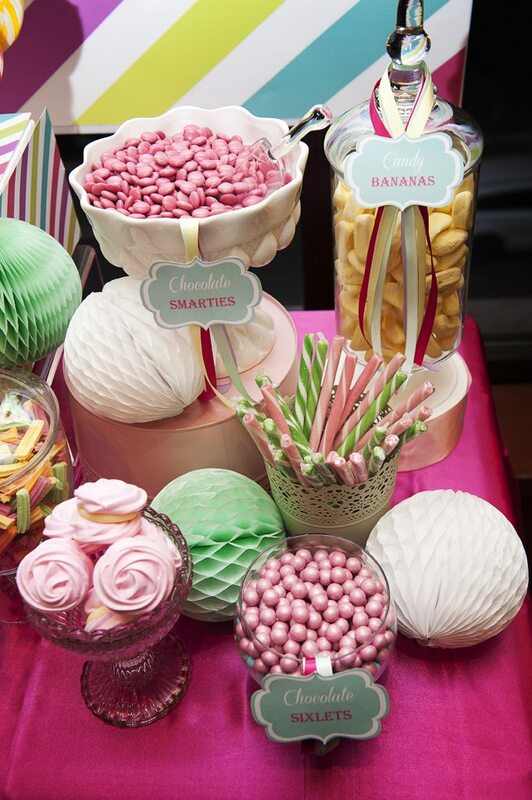 Concept, styling, graphic design, dessert table and lolly buffet serveware and set up all by Style My Celebration.